If you have questions that need answering this is a great place to start! This a list of questions that we frequently receive emails about and so we’ve provided a list of answers here. We keep our FAQ page up to date as new questions arise. What is Learn Jazz Standards? Learn Jazz Standards is a website dedicated to jazz education. We are all about helping musicians play better and learn the skills needed to play jazz! LJS focuses on learning jazz repertoire as these are the primary vehicles for learning jazz language. We also have an active blog featuring jazz articles and lessons on an array of different topics. Why is it important to learn jazz standards? Jazz standards are the primary vehicles used for learning jazz music. These compositions are called “standards” because historically they have been played and recorded time and time again by some of the greatest jazz musicians to ever live, and are still played today. It’s important to learn these songs to understand the history of the music and the different jazz styles. Jazz standards are also the primary vehicles used to improvise in jazz music. Understanding how to improvise and play these tunes will help you understand the jazz language and become a competent jazz musician. How often does LJS come out with new stuff? We post new jazz articles and lessons on our blog 3-4 times a week. We do our best to provide as much new content as we can to our users! How can I get notified when LJS comes out with new stuff? The best way to stay up to date with everything that’s new on LJS is to subscribe to our newsletter. 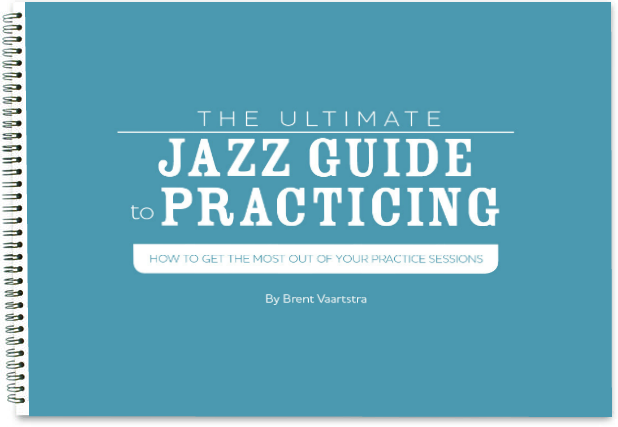 For signing up to our newsletter, you also get our free e-book “A Jazz Guide to Practicing”. So it’s a pretty good deal! Liking and following us on Facebook and Twitter is another good way to get plugged in. Otherwise check back on the website often! I subscribed to the newsletter but didn't get my free e-book. How do I get it? When you subscribe to the newsletter you should receive an automatic email with a download link to your free e-book 5-10 min. after you subscribed. Check your spam folder to see if the email was filtered there. Gmail users sometimes have a “Promotions” folder and it could also have gone there. If you’ve waited and checked, but still don’t have it contact us and we’ll send it to you! Why do you only provide chord charts for jazz standards and not the full sheet music? The main reason we do not provide sheet music for jazz standards is because it would be in violation of copyright law. Melodies of songs are copyright-able and therefore we cannot provide them and are limited to chord changes. However, we always preach that it is important to learn melodies and chord changes by ear rather than sheet music. Learning tunes by ear is the most beneficial and should be attempted before referencing a chart. We talk more about this here. I am unable to download my play-alongs on my iPad or tablet, and instead mp3's play in my web browser. How do I save my play-alongs to my tablet? iPads and other tablets are unable to download mp3’s directly. You will need to download them first to your computer hard drive and then sync them to your device. Choose File > Add Folder to Library. Locate the folder on your computer that contains the music you wish to import into iTunes. How do I import the play-alongs I downloaded into iTunes? I purchased an e-Book or play-alongs from the Store but did not receive them. How do I get my downloads? When you purchase any of the products from our Store, you can either check out as a guest or log in. If you check out as a logged-in customer, you will receive an email with your downloads within 5-10 minutes after your purchase. You will also be able to download or re-download any of the products you have ever purchased by clicking “My Account” in the upper right-hand corner of the website, and then click “Downloads”. If you check out as a guest, you will only receive an email with your downloads within 5-10 minutes after your purchase. If you do not receive an email with your downloads: First check your spam folder in your email account, or if you use Gmail, check your “promotions” folder. If you still do not receive your downloads, contact us and we’ll be happy to get them to you! What are your Bass and Drums, Piano and Bass, Drums and Piano play-alongs? We made different versions of our play-alongs in order to help all instruments have a better practicing experience. Bass and Drums tracks feature only the bass and drums playing in the track. These would be great, for piano and guitar players who want to comp for themselves, or even horn players that don’t want to practice with an accompany instrument. Piano and Bass tracks would be great for drummers to practice along with, or any instrumentalist that wants to practice without a drummer. Drums and Piano tracks are great for bass players who want to practice walking their own bass lines. All of these tracks are alternatives to our “Full Band” tracks which feature piano, bass, and drums.